No moving parts, bright filtration results and low operational costs. 1. 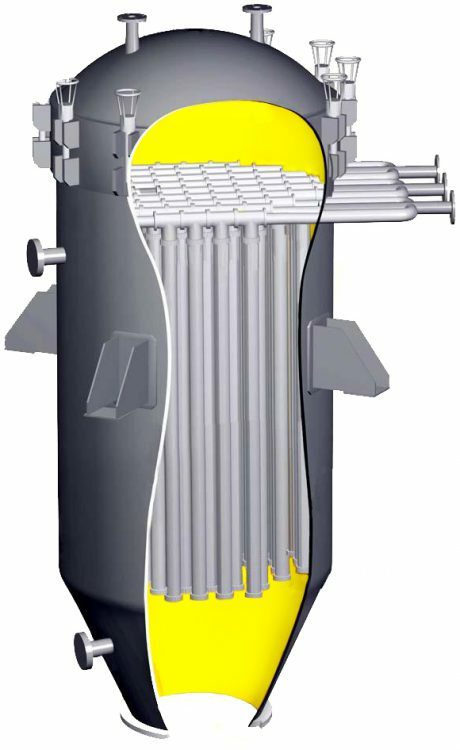 Pressure filter with vertical hanging candles in a vertical tank. A cone bottom or drop door for dry cake discharge. 2. The flow is directed from outside to inside. 3. The cake will be retained on the filter media surface. 4. During the back flush cycle, the filter media expands and changes shape. The cake cracks and drops. As stand-alone, manually operated unit or complete skid mounted either semi-automatic or fully automatic. Design code according PED 2014/68/EU with CE marking or ASME VIII with “U”-stamp. Certifications: for JIL, Customs Union Technical Regulation (CU TR), SQLO, AS1210 Inspection by Lloyds, TÜV, SVDB and others.